Pizza has long been one of the great loves of my life. As a child, Friday lunch at the neighborhood pizzeria was a highlight of my late grade school years. Often my mother would make it from scratch at home as well. In my early days in Chicago, I could easily eat half a large Chicago-style deep dish pizza, amazing waitresses every time. But pizza is loaded with fat and salt, two no-nos on my new restricted diet. 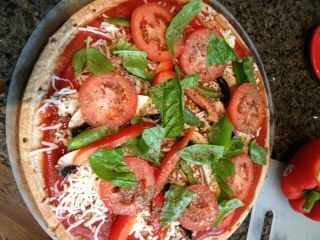 Rather than give it up, I’ve been tinkering with ways to make a healthier pizza. The result still has more salt than I would like, about half my days’ limit of around 1,200 mgs., but a good deal of that comes from the cheese, so if I cut that back it will get better. I started by looking for a pre-made whole-wheat crust. There are several brands and store brands available, but the salt content in many is quite high. I settled on a Whole Foods store brand, 365, which has 300 mgs of sodium in a 12-inch whole wheat crust (no regular dough for me, I’ve been advised not to eat white bread, white flour, etc.). 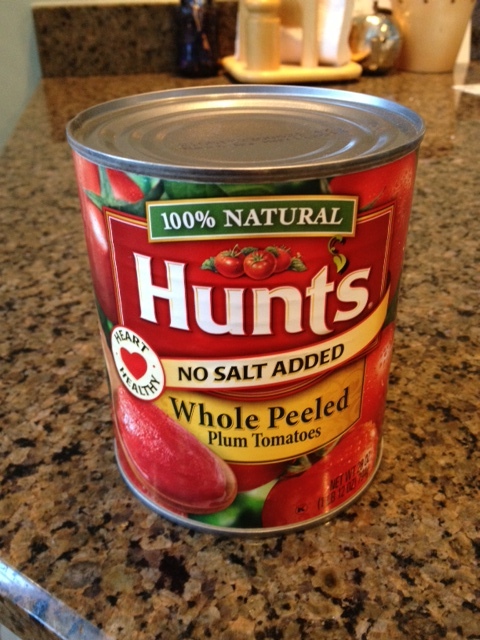 To that, I add a salt-free tomato sauce that either I make or buy pre-made. There is 15 mgs of sodium per serving in that but a small eight-ounce can is considered 3.5-servings so that adds up to 53 mgs for the entire pizza. The cheese is the big challenge. Cheese equals fat, unfortunately. Eight ounces of mozzarella has 50.7 grams of fat and 1,422 mgs of salt, according to my LoseIt! App. That’s obviously unacceptable on my new diet. My homemade whole wheat pizza. Lobster is one of the wonderful delicacies of our age. Yet the thinking once was that it contained high levels of cholesterol so it was not recommended for someone with heart disease who is watching cholesterol levels. 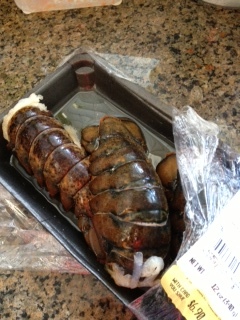 Three lobster tails that started as four ounces each; meat weight — 2.5 ounces. Biggest Losers’ trainer Jillian Michaels has always been my favorite on that show. If I need to work out, I wouldn’t opt for Zen-man Bob or any of the other trainers who have come and gone on there, I’d pick drill sergeant Jillian to get things done as quickly as possible. I’ve subscribed to an e-newsletter she does for years and often found useful advice there and on her website. 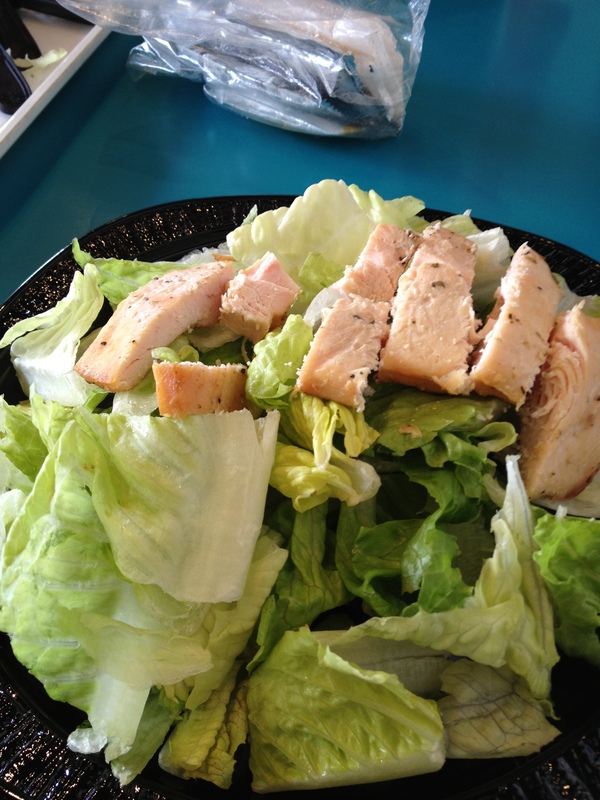 Salads can be minefields of salt if you’re not careful. One of the most difficult challenges about the new food regimen I’ve been following in the 11 months since my angioplasty is that so many people keep telling me it’s ok to cheat once and while by going off the diet to eat some of the foods I once enjoyed. You’ve likely heard it too. It happens on away-from-home eating occasions, on holidays or at family gatherings where food, and often bad food, is the unifying factor of the event. “Oh it’s ok you can cheat once in a while,” they say. Or “how long do you have to eat that way,” they ask, somehow not fathoming the changes you are making are life-long and permanent. Wedding food — what can you eat? Wedding celebrations are usually just that, celebrations with elaborate dinners and giant cakes, or basically all the types of foods you can’t eat on your low-salt, low-fat, low-sugar diet. I recently attended a wedding where dinner was served family style, with food coming in large bowls to be shared by everyone at a given table. The meal included two entrees, roast beef — which I can’t eat — and chicken, which I can except that it was in some type of gravy. The family style serving meant chicken breasts were lined up in a bowl, though, and I grabbed one from the middle that had a minimum of gravy on it. 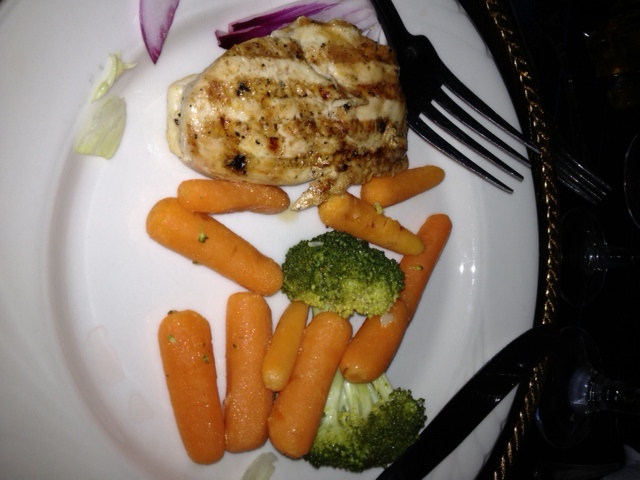 My wedding meal, thanks for leaving so few veggies everyone. 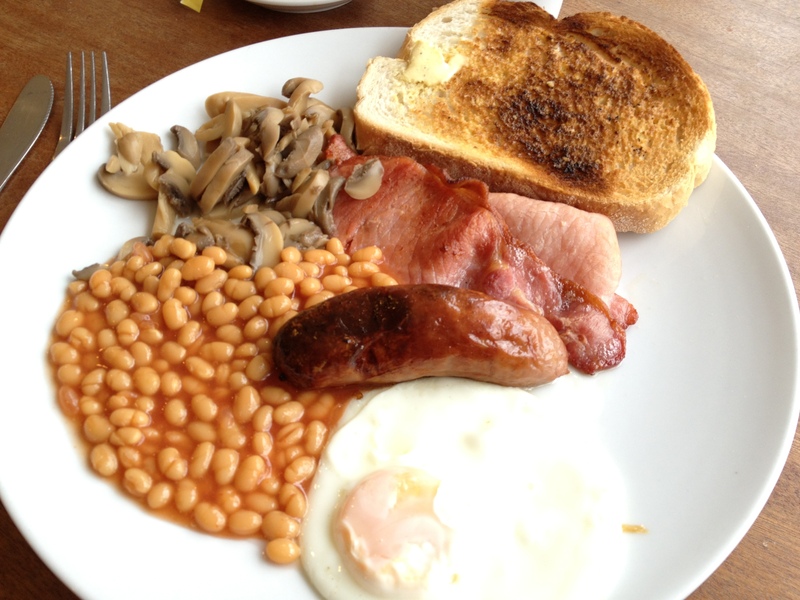 Eating in restaurants when you’re on a restricted diet can be maddeningly difficult if not impossible. Every restaurant dish is loaded with salt and/or fat and/or sugar or other sweeteners. You could become a hermit, eating every meal at home, the same boring things over and over again, cutting yourself off from the larger world around you. But who wants to do that with their lives? 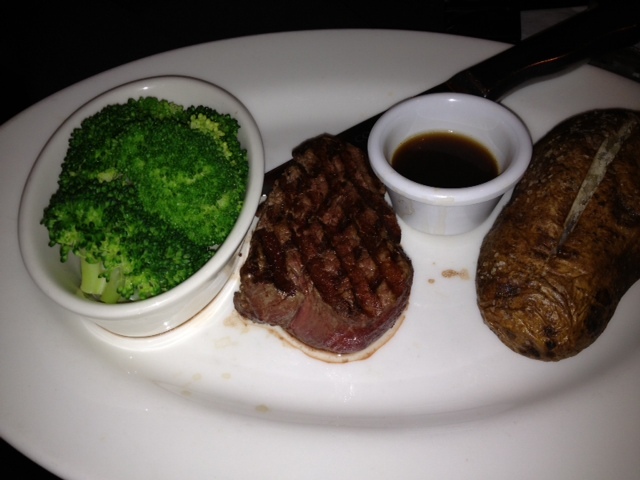 A recent steakhouse order for me, no sauces, no butter, no sour cream but a great filet mignon. A reminder that there are no miracle drinks or superfoods. Finding low-salt recipes is one challenge, finding low-fat recipes is another. Finding recipes that are both, which many of us on restricted diets require, is almost impossible. 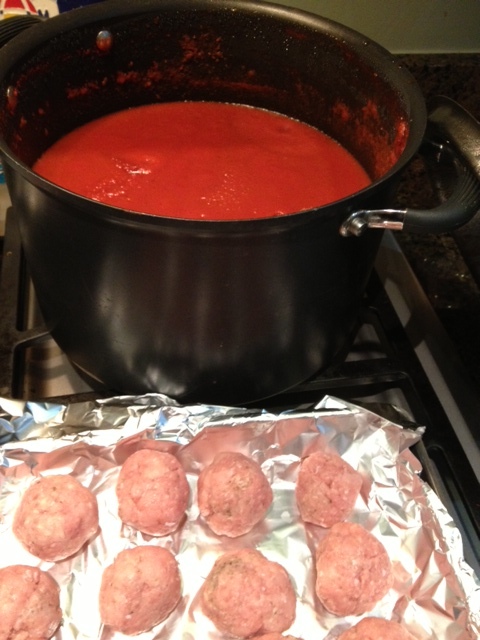 Low-salt tomato sauce and low-fat, low-salt turkey meatballs.